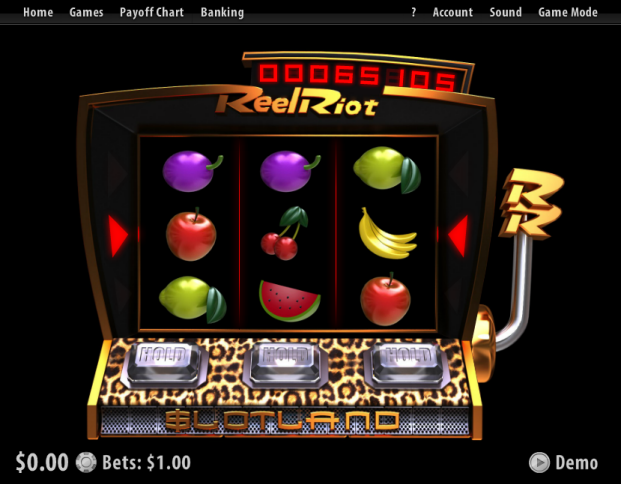 Overview: Reel Riot is a three wheel, single payline slot machine. You can hold two of the three reels until you win. 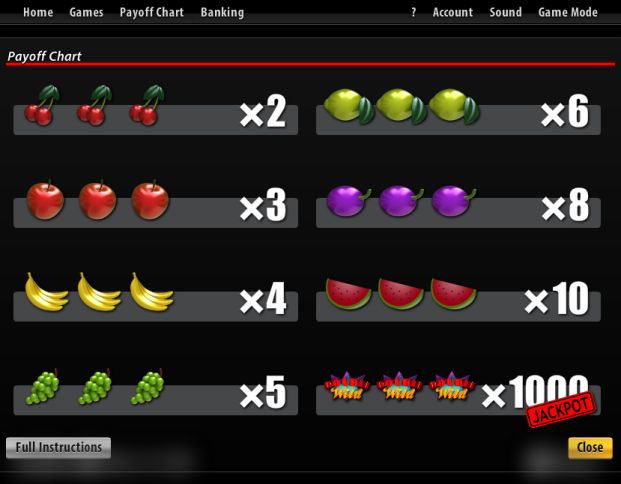 The game also features Double Wild symbols which can substitute another symbols on the payline and double, respectively quadruple your winnings if one, respectively two Double Wild symbols are present on the payline. If you get three Double Wild symbols on any position of the slot machine and no winning combination on the payline, you enter the special and exciting bonus game! In this special game, your bet from the last standard spin is multiplied according to what numerical symbol you hit on the screen. Similar Slots: If you like Reel Riot, you might like these other slot machines from Slotland: Air Mail, Alice In Wonderland, Amore, Booster, Carnival, Chinatown, Dollar Storm, Enchanted Gems, Fluffy Paws, Fruitful 7s, Full Bloom, Grand Liberty, Gypsy Charm, Hold The Riches, Ice Crystals, Leprechaun Luck, Lost World, Lucky Stars, Neon Reels, Ninja Power, Olympus, Open Season, Pearls of Atlantis, Phantom Of The Opera, Pyramid Plunder, Striking 7s, The Reel De Luxe, Tropical Treat, Vegas Vibes, Wild Alaska, Zodiac.